In this, our last post during Mental Health Month 2018, we look at caregivers – the people, often family members, who support their loved ones living with a mental health condition in getting and staying well. How can we address policies and practices that adversely affect a caregiver’s involvement, even when desired by the person in care? For a person seeking mental health treatment, social support – including constructive family support – tends to improve treatment outcomes. 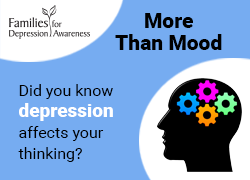 Family members and friends are likely the first to notice changes in the person’s mood or functioning, making them among the first people with an opportunity to intervene and support the person in getting help. Caregivers help people affected by mental health conditions to manage day-to-day struggles that can result from their disorder and support them in finding the treatment they need to get well. Once the person of concern is in professional care, caregivers can help to advance treatment by reporting changes in symptoms and supporting people with mood disorders in consistently following their treatment plan. The National Alliance for Caregiving reports that 8.4 million Americans care for an adult with an emotional or mental health issue, including bipolar disorder, schizophrenia, depression, and anxiety. One-third of the 1,601 caregivers surveyed had provided care for ten years or more. Yet, even knowing the crucial role that caregivers have, mental health providers did not include caregivers in conversations about health and treatment. For the purposes of this post, let’s assume that the person with the mental health condition has a positive relationship with their caregiver and would like their caregiver to support them in getting and staying well. Above, we already identified one barrier to constructive participation: being excluded from conversations with the medical or mental health provider about care and treatment. Privacy laws can prevent families from confirming that their loved one is safely in care or advising care providers about a loved one’s current medications. Some providers continue to misunderstand privacy laws and HIPAA regulations, insisting on not communicating with a caregiver because it would violate the law or patient trust, even if the person has asked that the caregiver be involved. Congress attempted to address this issue in the 21st Century Cures Act (§§11001-11004), requiring the US Department of Health and Human Services (HHS) to develop guidance for providers that clarifies permitted uses of protected health information and disclosure to family members or caregivers who are involved in the patient’s care. HHS now has information and training readily available to people living with mental health conditions, families and caregivers, and health providers. Hopefully, we are well on our way to solving that problem. A common frustration for caregivers is the lack of mental health professionals, particularly those that accept health insurance. For some areas of the country, this problem is exponentially more difficult due to the utter dearth of providers. The lack of providers, in turn, creates the added challenge for caregivers, who need to do whatever they can to bridge the gap between when the person with the mental health condition decides to seek professional help and when a provider can be found and an appointment can be had. utilize certified peer support specialists to provide supportive care and, presumably, enhance treatment adherence and outcomes. The Substance Abuse and Mental Health Services Administration has increasing the supply of behavioral health professionals on its “to do” list. Caregiving for a loved one living with a mental health condition can be satisfying and strengthen relationships among family members. At other times, caregivers can feel exhausted, isolated, worried, and discouraged. The constant concern, lack of information, mental and physical demands, unrelenting stress, putting others needs ahead of their own, and not practicing self-care all affect the caregiver’s health and wellbeing. Caregivers usually benefit from learning about the particular health condition and their role in providing support, utilizing sites like Families for Depression Awareness, DBSA, or NAMI, as well as clinical sites and online research through leading hospitals, practices, and health systems. Familiarity with the disorder(s) and approaches to treatment equip caregivers to ask appropriate questions at appointments, set realistic expectations, and support their loved one. 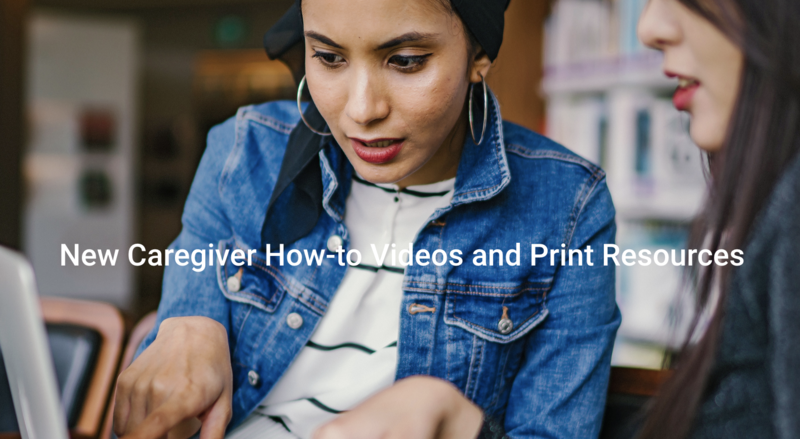 Finally, caregivers need to have their own support systems and practice self-care. Some support groups exist (check, for example, NAMI and DBSA), but more opportunities to give and receive advice, emotional support, and hope would help alleviate the unmet need for peer support groups for families. And in the spirit of putting on your own oxygen mask before helping others, caregivers need to take care of themselves first, so they have the energy to take care of others. Here are some easy ways to get started. Caregivers usually alter their own lives in response to mental health needs of their loved ones, and they do so with love and compassion. Let’s continue our work to smooth the path to getting help. What challenges to caregiver involvement have you as a caregiver – or you as a person living with a mental health condition – encountered? How did you address them? Tell us on Facebook and Twitter!